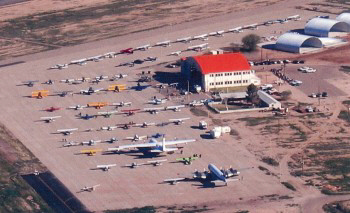 The first Saturday of every month there is a fly in breakfast at Coolidge Airport (P08). Time: 8:00 to 12:00 noon. On the first Saturday of every month (except June, July, August and September), the Fly-ins are now sponsored by the City of Coolidge. Breakfast is served by the Coolidge Lion’s Club in front of the main hangar (you know, the 1940’s hangar with the orange roof!) at the airport. The event usually starts about 8:00 a.m. and ends around 12:00 p.m. JetA and 100LL fuel is available at the “self-serve” pump. If you have any questions about the fly-in please feel free to contact us.